Management systems and policies - Carl Stahl - løftegrej, stålwire, kædesæt, rundsling m.m. That we, within our product area, are abreast of all relevant laws and regulations of quality and environment in order to make sure that our processes and services also fulfill the relevant laws and regulations. That our products always live up to our customers’ expectations. This is achieved by offering correct and adequate information, as well as making sure to uphold the agreed upon demands of quality. That demands for eco-friendly production, at Carl Stahl A/S as well as our manufacturers and subcontractors, will be equated with demands for quality and cost-effectiveness. That we determine clear-cut control procedures and acceptance criteria for each product. That we ensure that each employee at Carl Stahl A/S, at all time, has the necessary knowledge of the specific demands during the process procedure from order intake to delivery. That we commit to a continuous improvement of the quality management systems’ effectiveness. 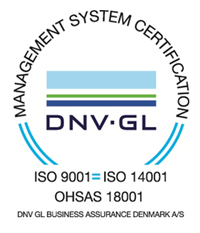 See certificate here – or read more about ISO 9001 here. See certificate here – or read more about ISO 14001 here. Carl Stahl A/S is certified in accordance with the OHSAS 18001 standard, which is an international standard for working environment management. This means that we at Carl Stahl A/S systematically and persistently work to abide by the applicable laws and regulations, as well as improvements of the working environment management and its results with the purpose of preventing damage and work-related illness. At Carl Stahl A/S, we strive to include the idea of working environment into every aspect of the company from our employees’ working day, to the way we deliver our products, conducts services, or guide our customers. See certificate here – or read more about OHSAS 18001 here. Carl Stahl A/S is qualified in Achilles Sellicha and thus live up to the Nordic utility companies’ strict quality standards. 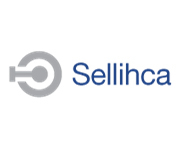 Achilles Sellicha is a supply database and qualification system, which Nordic utility companies utilize to manage supplier information and risks in the supply chain, as well as to perform effective purchases in accordance with the EU legislation. Hence, the qualification is an important tool for the Nordic utility companies when purchasing goods and services. The qualification provides our customers with a security that Carl Stahl A/S delivers high quality products and services to utility and energy companies. Carl Stahl A/S is a member of Kranbranchen, which is a trade organization for Danish manufacturers of cranes and companies that advise about lifting equipment. Members of Kranbranchen cooperate on educating and certifying service technicians, as well as on the dialogue with the Danish authority and EU regarding regulations and best practice in the field.